Ekin Su Koç is a young artist which has been graduated form Mimar Sinan Fine Arts Faculty. Painting Department. She is still continuing to her thesis of M.A. with Prof. Balkan Naci İslimyeli in Işık University. 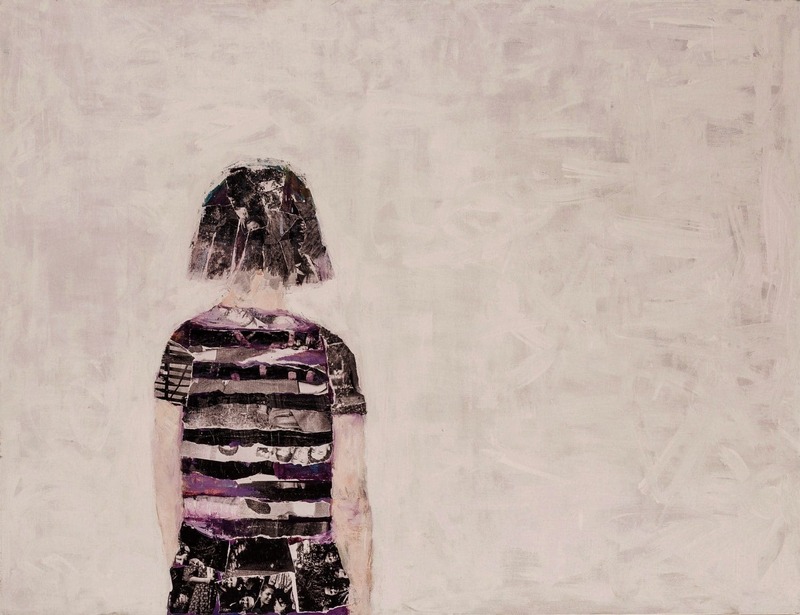 In this first solo exhibition, named “Heirloom”, her works with the various materlials and mixed media tell us that she is questioning about the values which seem lost in modern life like family and sense of belonging. In her paintings we see figures which shouting at each other filled with the fear of modern life pressures, in their bedrooms while they are making love. So, it is reminding us the modern women’s position; which getting weaker inside while getting stronger outside. Artist is describing this situation with a woman figure who let the man come on her with a terrifying face on him. This works become the picture of the modern human who let the system pressure on him to expect more and more and has the relationships for his self-interest and profit only. In Ekin Koc’s inner world all these are the results of being not comprehend of the situation of family in modern life. The duality of belonging to family and living apart from that in modern life, pushes the artist to think about the terms freedom and lonelines. To explain this relationships and their connection with family, she uses sembolic materials like old photographs, laces, cutten bed linings and clothes. These materials we see here are the memories which are special and missed and also old, dirty and useless – just as the family itself; which is precious and out of date.In our contemporary world the human kind is living in cites with standardization of global culture and missing the beauty and meaning of nature. These two kids walking through emptines and reminding us this. We assume that human kind learned his lesson and left the violence in big war times but then we quietly see, this violence is still continuing inner world of human kind. In that point this young artist calls us to look deep inside of us for purification and growing up. In this first solo exhibition, Ekin Su Koç is sharing the moments and memories of her life with us and she sets us free to imagine, while giving short fragments intead of the whole story.